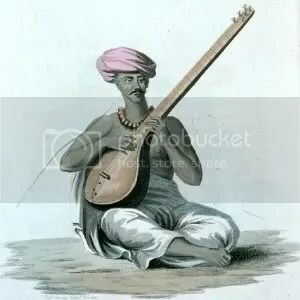 Sanskrit chants from Vedas, Upanishads and other scriptures have been recorded by many in India and elsewhere, either in its original form by the traditional scholars who have kept it up for many centuries through their families and disciples, or sung within Raga forms by eminent musicians with accompanying instruments. Some have attempted to make them more popular by using semi-classical form of music. 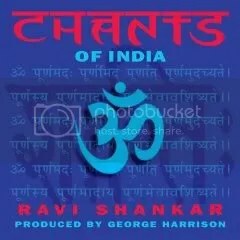 Chants Of India included in the Ravi Shankar George Harrison Collaborations box set (3CD/1DVD) are timeless Suktas, Mantras and Shlokas that are chanted as they were 4000 years ago. Chants Of India, Disc 1 of the Collaborations box set, was an absolute bestseller when it was first released in 1997. The album sold 1,00,000 units in the US alone. The idea of creating music for ancient Sanskrit chants appealed to George Harrison so much that he wanted to take the whole responsibility of producing it. The music was recorded in two sessions, one in Madras (January and April 1996) and one at George’s studio in England (July 1996). To maintain the integrity and purity of the ancient Vedic chants was a tremendous challenge to both George Harrison and Ravi Shankar. Chants Of India album had been out of license for over 5 years. 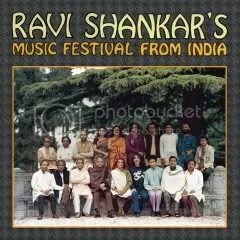 Music Festival From India, Disc 2 of the Collaborations box set, was a live event that was staged in London in 1976. Organized by George Harrison’s Material World Charitable Foundation, the event witnessed an Indian classical ensemble of 18 artists. Musicians including tabla wizard Alla Rakha, santoor player Shivkumar Sharma, flautist Hariprasad Chaurasia, sarangi maestro Sultan Khan, vocalist Lakshmi Shankar, violinist L Subramaniam graced the occasion. This troupe then toured Europe culminating in a show at London’s Royal Albert Hall. The event propelled most of the artists who participated to worldwide stardom. Composed by Ravi Shankar and recorded during five weeks in 1976, this album was produced by George Harrison. Music Festival From India was only released on vinyl, and has not been available for over 30 years. In 1965 when George Harrison strummed the sitar in The Beatles’ number Norwegian Wood for their album Rubber Soul, nobody could have thought that in the coming days he was going to have the most beautiful, both personal and musical, friendship with the maestro of the instrument, Pandit Ravi Shankar. Earlier George was introduced to the sitar during the filming of the 1965 movie Help! in the Bahamas, where some Indian musicians were featured in a scene. George met Ravi Shankar through a friend from a society called Asian Music Circle. And what an encounter it was. Ravi Shankar, the older of the two, had a complete command of the Indian musical tradition, both ancient and ageless. The other younger man, George Harrison, was a founding member of the Beatles, without question, the most influential and universally loved creators of today’s popular music. It was inevitable that this match would make waves, which it did on a tremendous scale and for a passionate worldwide audience. This is how the interesting, unique and lifelong friendship began between George Harrison and Ravi Shankar. In 1973, George Harrison signed Ravi Shankar to his Dark Horses Records label. 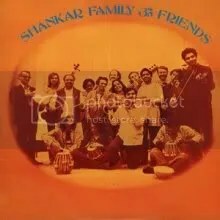 In 1974, their first project, Shankar Family & Friends brought together renowned Indian classical musicians like Ustad Alla Rakha, Lakshmi Shankar, Shivkumar Sharma, Hariprasad Chaurasia alongside Western jazz and rock musicians including George himself, Ringo Starr, Tom Scott, Klaus Voormann, Jim Keltner and Billy Preston. Ravi Shankar’s Music Festival From India (live from the Royal Albert Hall) in 1976 was the first artistic event organized and sponsored by George Harrison, bringing together, perhaps for the first time outside India, a 17-piece Indian classical music ensemble. 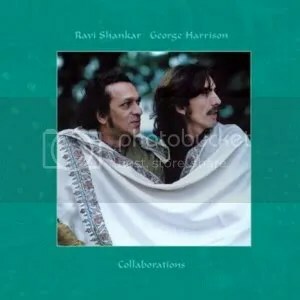 In 1997 George Harrison and Ravi Shankar again collaborated on an album. This time Ravi Shankar created music for ancient Sanskrit chants with the challenge of maintaining the authencity of the ancient verses, along with the original compositions. Released in 1997, Chants Of India are timeless, Vedic verses chanted for the well being of man and mankind. Collaborations is a celebration of these two musical geniuses and how their friendship and deep mutual respect for each other created opportunities to push musical boundaries. It includes all the above mentioned performances and more. Collaborations is a 3 CD/1 DVD limited edition box set. 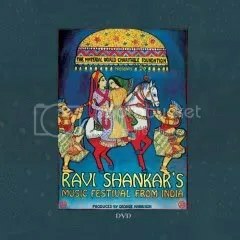 The DVD is a rare, previously unreleased live concert performance of Ravi Shankar’s Music Festival From India. It also includes the rare and preserved parts of the concert film and a surprise bonus feature. View an excellent video clip (Naderdani) from Music Festival From India at Amazon.com.